shirley-bee's stamping stuff: Moxie Fab Thanks! Very trendy and brilliant design and sentiments. You have really changed style in the last few months - looks like you're really having fun! Banners are the perfect way to celebrate someone as special as Cath...especially with the words that describe her so well! Love this, very Moxie indeed! Cath will love it! Such a beautiful and fun card! I love your design and the gorgeous colour combination! Amazing card and perfect sentiment!! Great card! 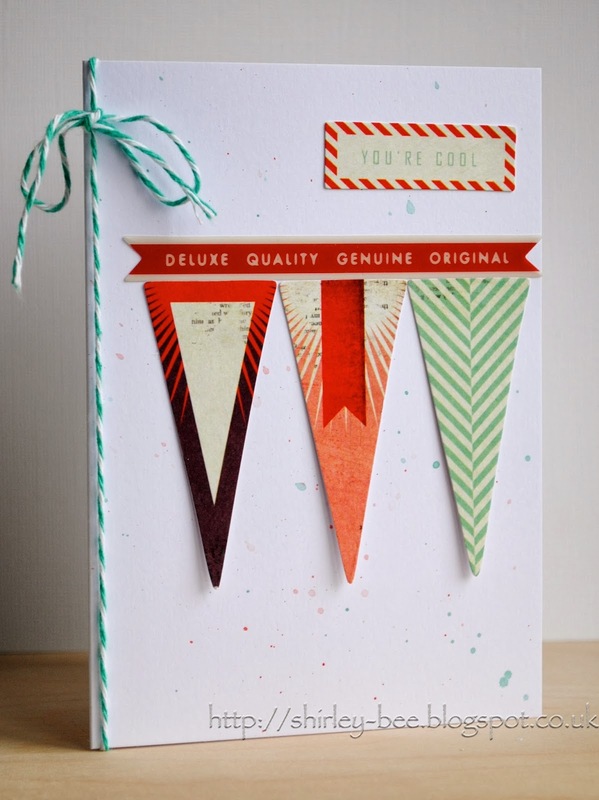 Love the subtle spritzing, and those three pennants are really graphic and modern! Aw.. Shirley, this is one very fabulous design. I love the use of colors and sentiments!! So glad that you are part of this epic blog hop! Oh mannn those words totally describe Cath! Ohhh, love this, Shirley! Those pennants are perfect! This card has some serious moxie-fab styling! Perfect for Cath. Fabulous design! Love the sentiment too! So very eye-catching, and modern! I love it, Shirley!! Love the card and you're the first I've seen (but I'm jumpin' around) to use You're Cool. Spot on! Outstanding...what a fun and trendy card. I'm sure Cath will love it! Really lovely mix of patterns and colours! So sweet! What a pretty card Shirley! What a fun banner! and those words describe Cath perfectly. Cath IS cool. And so is this card! Love your design and the color combo is gorgeous!! Adore the little splatters!! What a fabulous card for Cath. You are right that the sentiment is perfect. what a fun card - perfect sentiment!